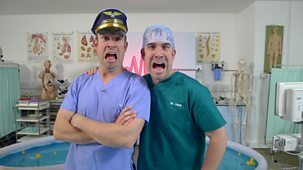 Clips from Operation Ouch! 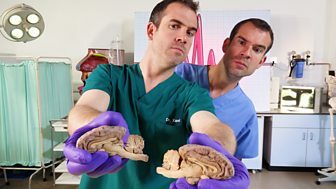 We find out what a real human brain looks like and how it controls every action within your body. Snips: 28. 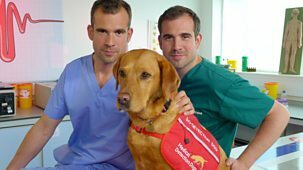 What Is Epilepsy? 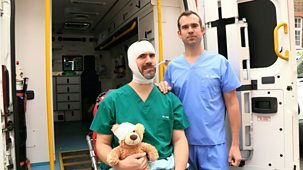 We meet a young boy going through surgery to help cure his epilepsy. 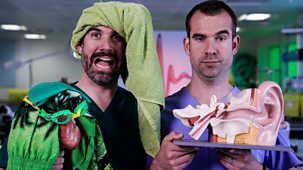 Clips from Operation Ouch! 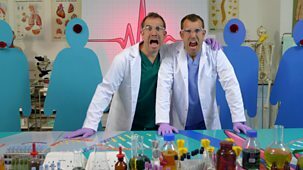 Discovering why we have microbes and parasites all over our bodies and how they help us. 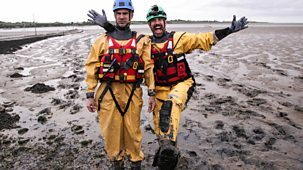 Clips from Operation Ouch! 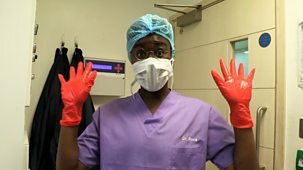 All about bellybuttons, from how the umbilical cord works when you're a baby, to why some people have outy belly buttons. 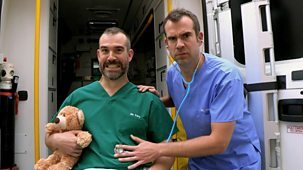 Series 7: 10. 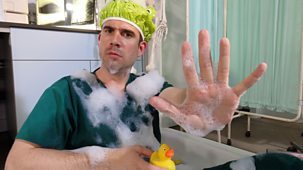 Get Your Body Moving! 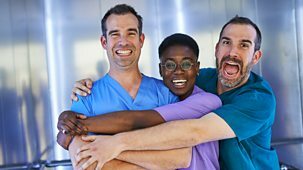 Clips from Operation Ouch! 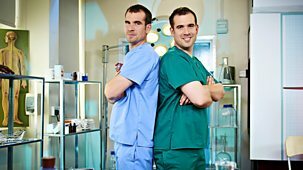 Investigating how leeches and maggots are used as a medical treatment. 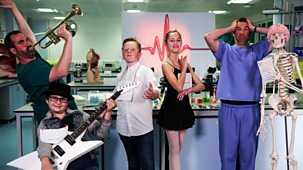 We find out where cartilage is in your body and we meet an England rugby player who shows us his cauliflower ears. 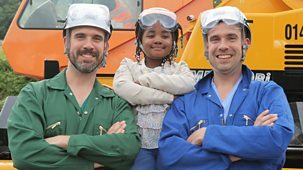 Clips from Operation Ouch! 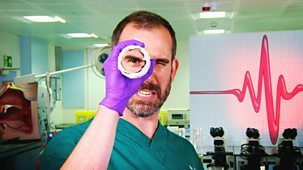 Discovering how your nerves work. Snips: 27. 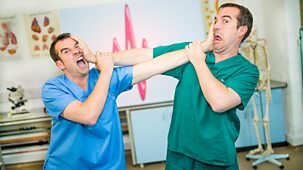 You Make Me Sick! 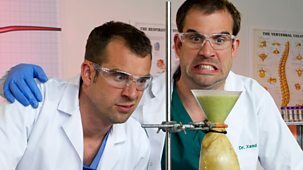 We take a closer look at Dr Chris's vomit to find out what is in it! Snips: 26. 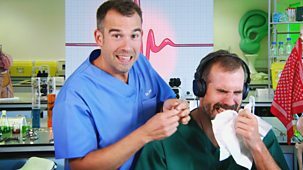 What Lurks In Your Ear? 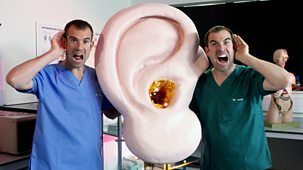 Dr Chris and Dr Xand take a closer look in your ears, and why we have ear wax. Snips: 25. What A Stinker! 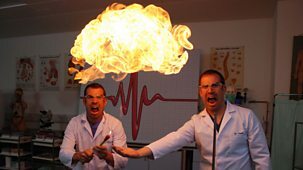 Dr Chris and Dr Xand investigate what is in your farts and burps, and why we do them. 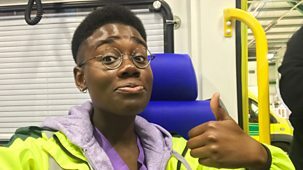 Dr Xand meets ice-skating stars to find out about dizziness. 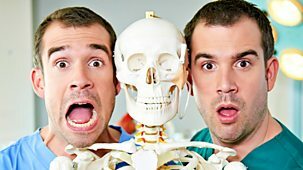 Dr Chris and Dr Xand demonstrate an awesome body trick and reveal another way the human body heals itself after an injury. 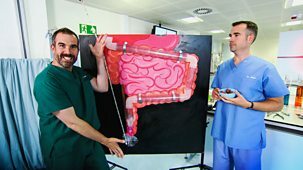 The doctors use real stomach acid to do a gross experiment to reveal how the digestion process starts. 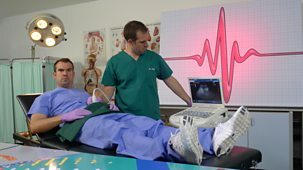 The doctors prove that we all have invisible ink inside our bodies and Dr Xand sees head lice removed from someone's hair with a vacuum cleaner. 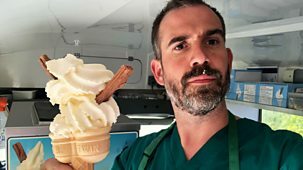 The doctors show that your breath is just as unique as your fingerprints and Dr Chris goes behind the scenes of medical drama Casualty. Snips: 21. 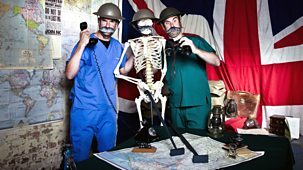 I've Got A Bone To Pick With You! 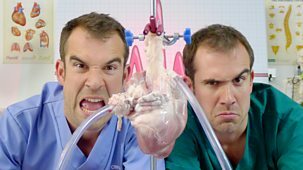 Clips from Operation Ouch! 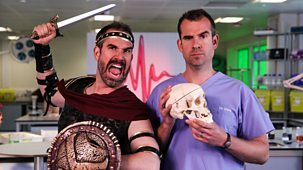 Dr Chris and Dr Xand explain what happens when you break bones and how your bones are actually a blood-making factory. 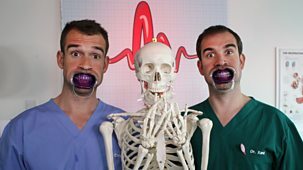 Dr Chris and Dr Xand experiment and explore their way through the fascinating world of medicine and biology. 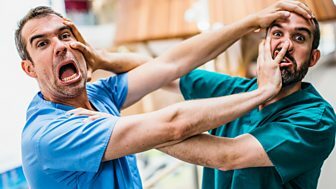 The doctors show what really happens when you sneeze. 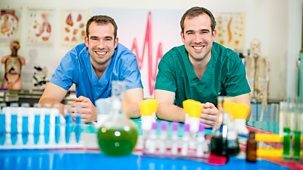 Dr Chris and Dr Xand experiment and explore their way through the fascinating world of medicine and biology. 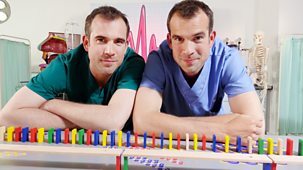 The doctors experiment on their muscles to show how they work. Snips: 19. 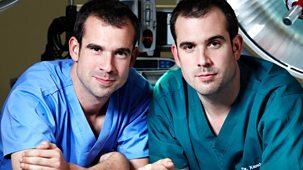 How Much Does Diarrhoea Weigh? 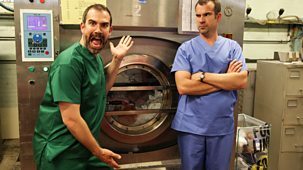 Clips from Operation Ouch! 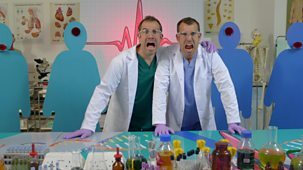 Dr Chris and Dr Xand create a poo factory to show you all about diarrhoea. Snips: 16. 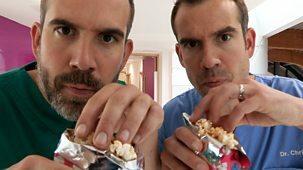 From Food To Poo! 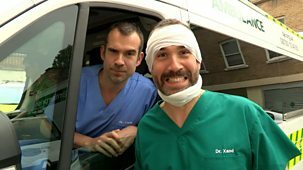 Clips from Operation Ouch! 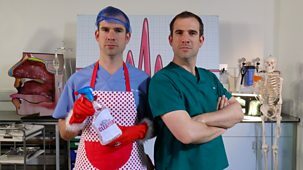 Dr Chris and Dr Xand follow the journey of your food until it comes out the other end! Snips: 14. 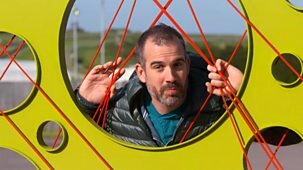 Where Does Wee Come From? Snips: 18. 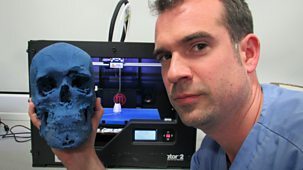 How Do You Hear? 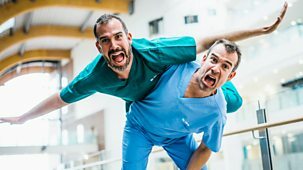 Clips from Operation Ouch! 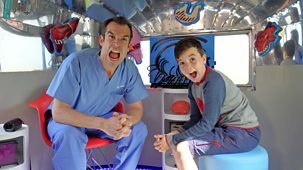 Dr Chris and Dr Xand show you how your ears work and what exactly your cochlea is. Snips: 17. 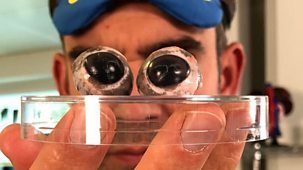 How Do My Eyes See? 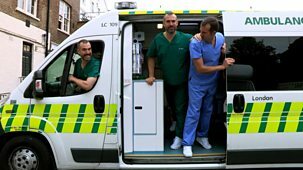 Clips from Operation Ouch! 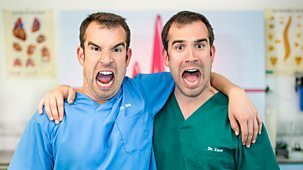 Dr Chris and Dr Xand take a closer look at your eyes and how peripheral vision works. 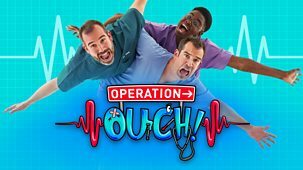 Clips from Operation Ouch! 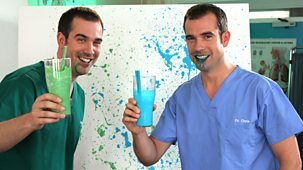 We take a closer look at your tongue and how your taste buds work. 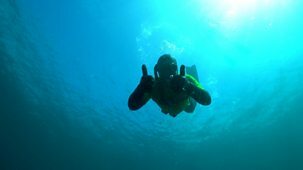 Snips: 20. 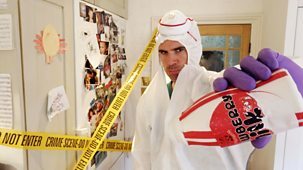 How To Solve A Crime! 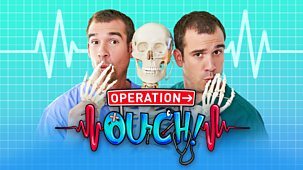 Clips from Operation Ouch! 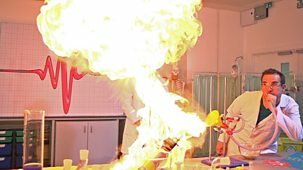 Dr Xand investigates who stole his strawberry milk and finds out more about DNA. 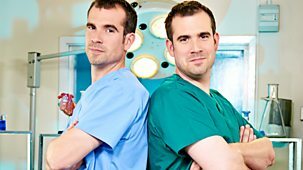 Series about the world of medicine and biology. 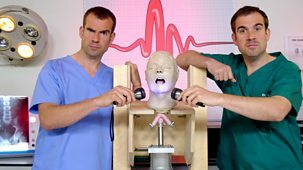 Dr Chris inserts a tiny medical camera up his nose and down his throat to look at how our vocal cords work.